Greetings to one and all. Or, I should say, “Namaste”. 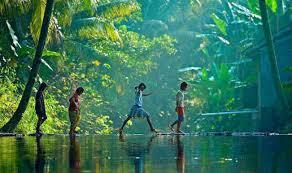 Yes, I’ve been to India – the stunning southern Indian region of Kerala to be precise. And it was a truly magical trip. As a spiritual medium, I like whenever possible to embrace new cultures and different belief systems. I think it makes me better able to support those who are experiencing loss and grief. A different perspective, you could say. India has been my destination of choice for several years now and although I’m used to its sights, sounds and smells (and I’m a little less shocked by the dreadful poverty than I used to be), I always find something new to admire about the lifestyle of these wonderful, welcoming people. My Sister runs a charity in Kerala focusing on building hostels to enable hill children from remote areas to attend school and college. Small village schools can remain open by increasing their attending numbers. Modest financial resources can achieve so much for deprived village communities. I help her as much as I can. Part of my time in India is spent with these wonderful children and those who support and live with them and I am able to embrace their way of life and learn from them as they live with so little. However, I also go there simply because I really relish the opportunity of taking time out from my “normal life”. There are none of the distractions that plague our every day lives: no TV, radio…and no Facebook! I can totally disengage, focus on what’s around me and develop my mindfulness skills. So, what of Kerala? As a region of India that’s primarily Hindu, spirituality appears to be woven into the very fabric of this beautiful place. Everywhere I saw ancient practices, such as yoga and meditation, but there’s an interesting mix of cultures and religions. The people of the region are truly a delight and they made me feel completely welcome. They maintain an unflinching faith, embracing without question not only their religion but also what life has given them which on a material level, is substantially less than we have here in the West. 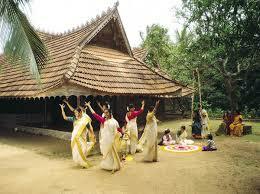 During my time there, I became very interested in Sree Nariyana Guru. Born in the 19th Century, Sree was a passionate social reformer who campaigned against the punishing effects of India’s caste system of the time. His focus was to create knowledge and embrace love. 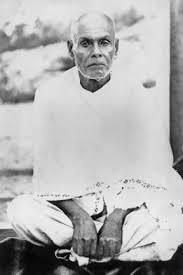 I felt a great sense of connection to him and my belief is that he acts as a Spiritual Guide. This gives the opportunity for me to be impressed with that understanding that love is such an important emotion that deepens one’s desire to live in harmony with others and work in a loving way. His work and mission made it possible for all Hindus to enter the temple whatever their caste. What did my trip to Kerala teach me? Every aspect of this lovely place is spiritually inclined and combines a strong intellectual philosophy with a committed faith. As a result, I now know never to ignore my intuition. This became my daily mantra. I hope it will become yours, too. I’ve come back even more determined and inspired than ever to support you in your search for answers about your passed loved ones. The love that these special people had for you when they were on this earth remains with you and will do so always. Know this, and let me help you to hear messages of love, kindness and reassurance. Dorothy Young is a Brighton based spiritual medium who offers readings on a group or one-to-one basis. Feel free to contact her via this site.